At Extreme we are, first and foremost, kitchen designers. A quick perusal of our journal offers the reader articles that look into all aspects of crafting a beautiful luxury kitchen. From worktops to ovens to drawer handles, our designers ensure that every element of your cooking space is masterfully crafted and implemented. With all of the surface-level work complete, it’s important to consider the features usually crafted alongside the kitchen, but are not within the kitchen itself. Utility and laundry room design ideas are important to consider. These areas may not receive the most footfall in your house, but they are a necessary feature in dictating the way your home runs. Give them the care and attention they deserve and you can create a home that looks and runs luxuriously. When you are designing your kitchen, you are likely to have the utility and laundry room designed alongside it. Ensuring that this is the case can be very beneficial in ensuring that there is a flow of design throughout the kitchen area – you wouldn’t want a utility room design that is in complete contrast to the kitchen itself. While maintaining a continuation throughout the kitchen, dining room and any utility or laundry rooms is usually an ideal stylistic choice, that doesn’t mean that you should necessarily use the same luxurious materials that you would in the kitchen. While the utility or laundry should be an attractive area that reflects the rest of the kitchen, practicality should take the highest precedence. After all, by definition, the utility is a functional room that will rarely be visited by your guests, so you should not worry too much about the aesthetic features of the area. 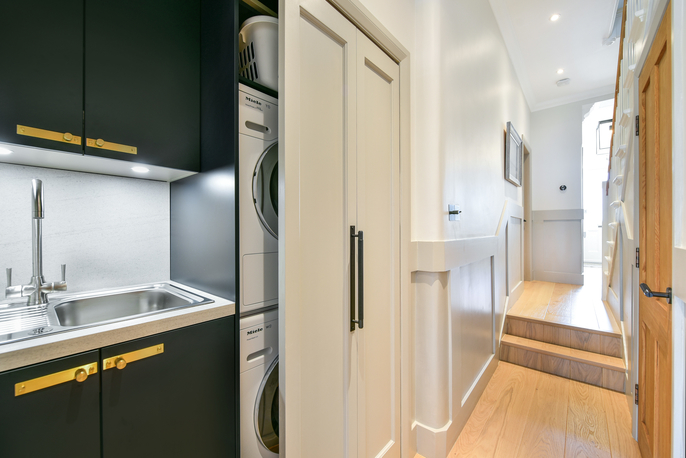 Utility and laundry room design ideas can be as far-reaching as your imagination will allow, but they should still act in a complementary way towards the rest of the kitchen. What you include in your utility room should benefit and complement the rest of your home to increase the functional aspects of the space. If you often entertain guests, you may wish to incorporate a second refrigerator into the utility room. While the primary fridge in the kitchen would continue to store your day-to-day food and drink, a secondary fridge for alcoholic drinks and party food could be an ideal addition to help entertain your guests. Of course, if you’re frequently hosting dinner parties, a secondary dishwasher could also be important, keeping the noise restricted to the utility room and ensuring that the party continues in the kitchen without any interruption. If you have children who are partial to some back garden football, or if you simply enjoy walks in the country, you might want to use your utility room as a boot room with rear access into your property. This ensures that muddy football boots or wellies won’t get traipsed through the home, and the installation of a coat cabinet will guarantee that you keep your walking supplies in the right place. Of course, when it comes to laundry room design, enough space and plenty of ventilation are the primary points of consideration. You will need to be sure that there is enough storage space for ironing boards, laundry baskets, detergent and other laundry-related materials. 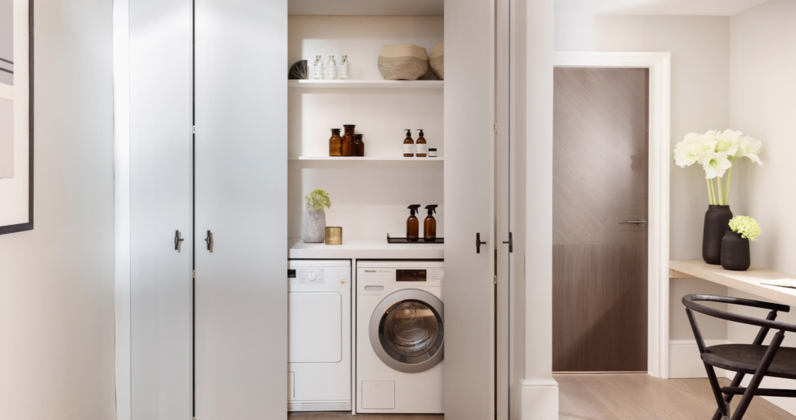 Rarely the most luxurious or attractive area of the home, you may wish to hide your laundry or utility away from more public areas of the home. 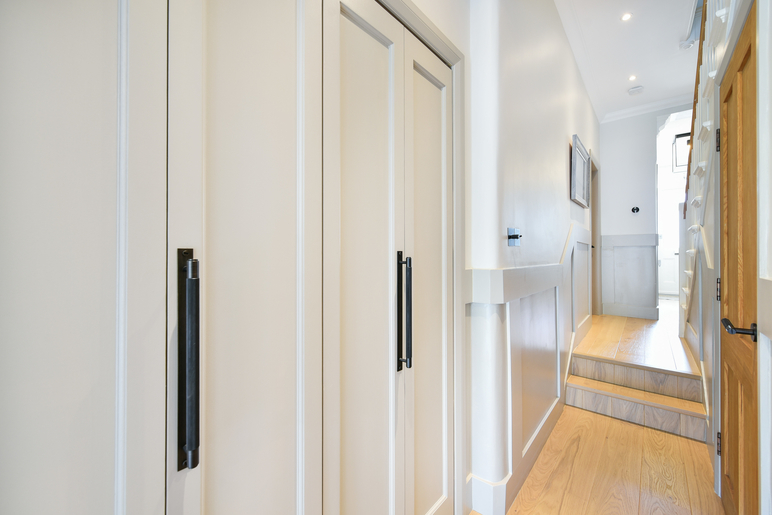 One of our favourite ways of concealing a utility room is to craft a secret door that blends perfectly into the design of the home, effectively hiding the area to ensure that it does not distract from the more beautiful design elsewhere. 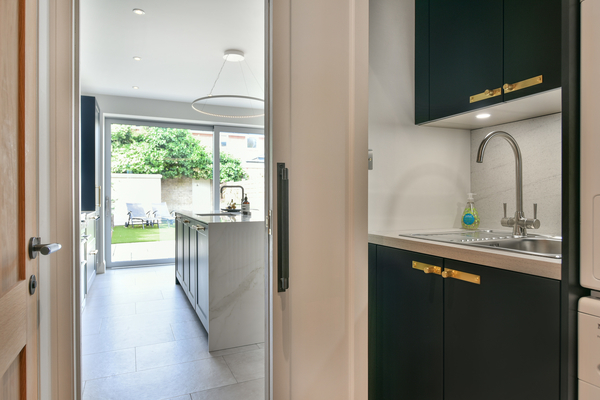 If concealing the utility room entirely is not an option but you would still like to keep the more function-focused aspects of your home out of sight, there are plenty of options. The assets built into utilities and laundries tend to be small and versatile, making them very flexible in that they can be used to maximise smaller spaces. Even very small nooks can be worked to fit a small washing machine or sink. While it is unlikely to be something you have spent much time ruminating on previously, we hope that this article has made you aware of the importance of effective design when it comes to utilities and laundries. 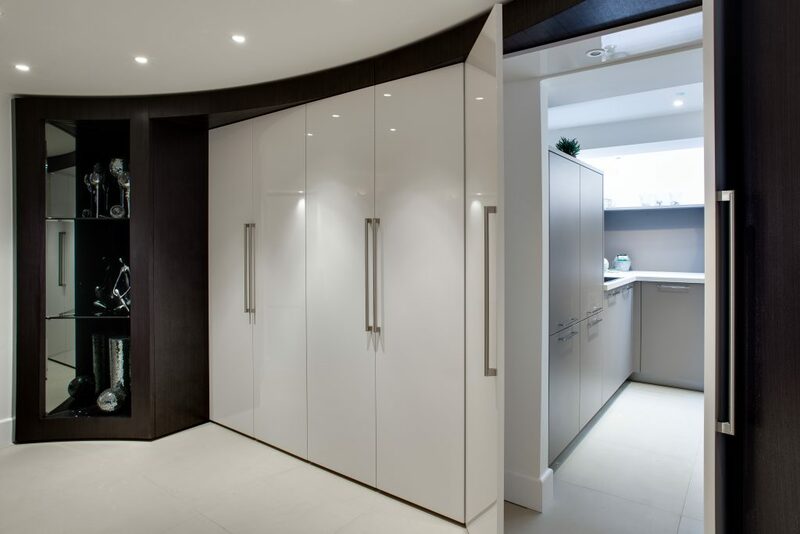 When choosing to collaborate with Extreme Design, we guarantee a service that takes all aspects of the kitchen into account, so you can be sure that a beautiful utility or laundry area will be incorporated into your dream kitchen design project. To have your own Extreme utility or laundry room installed alongside a truly luxurious kitchen, contact one of our design studios today.